FSI Recruitment 2018: Forest Survey of India has planned to conduct the walk in test at Forest Survey of India, Dehradun. Recently FSI has released the recruitment advertisement for Technical Associates & Website Developer posts. As per the FSI Dehradun notification 2018 totally 16 vacancies are allocated for above said posts. Applicants who want to get jobs in central govt can use this chance. Interested and eligible candidates may attend the walk in test on prescribed date. Before attend the walk in interview qualified aspirants kindly make the registration at official website. You can make pre-register for walk-in test from 09.10.2018 to 16.10.2018. FSI will recruit the candidates for initially one year and this engagement is purely based on contractual. FSI may select the aspirants on the basis of written test, hands on test and interview. After that selected applicants will appoint on FSI, Dehradun/ FSI, Zonal Offices of FSI. Contenders must have completed B.Tech/ PG Degree in relevant disciplines from recognized university. Applicants who are shortlisting in pre-registration will be called for walk-in test through email and SMS. More details of FSI job advertisements, forest survey of India 2018 pdf, syllabus, merit list, selection list and etc. are given in official website. You may visit FSI vacancy page to get more details about this recruitment. Here you will get information like educational qualification, age limit, application mode, selection process and how to apply. Keep check DAILY RECRUITMENT regularly to get latest updates. 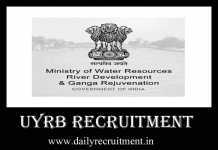 As per the Forest Survey of India Recruitment 2018 notification totally 16 vacancies are allocated for this recruitment. Post wise vacancy details are given below. B.Tech/ PG Degree in relevant disciplines from recognized university. Candidate maximum age limit should be 30 years. FSI may select the aspirants on the basis of written test, hands on test and interview. Go to official website fsi.nic.in. Click “vacancies” find the advertisement “Notice for recruitment of fifteen (15) Technical Associates and One (1) Website Developer on contractual basis in Forest Survey of India”. Clicks on the link “Pre-register for Walk in Test” enter your details correctly. Now you can attend the walk in test at prescribed venue.